For centuries, the valley of Alosya has remained hidden from the rest of Vigil. Guarded by treacherous mountains, the valley cradled an ancient civilization that rose and fell, cut off entirely from the outside world. In the absence of the gods, the people of Alosya worshipped the forces that ruled the world around them - life and death. They built two temples that focused and harnessed those energies, and revered the journey between the two. 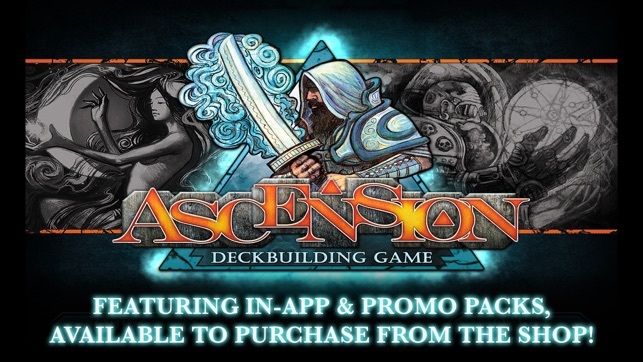 Ascension: Chronicle of the Godslayer, is the first officially licensed deck building card game for mobile. Play alone or with friends to battle against the Fallen One for honor and victory. 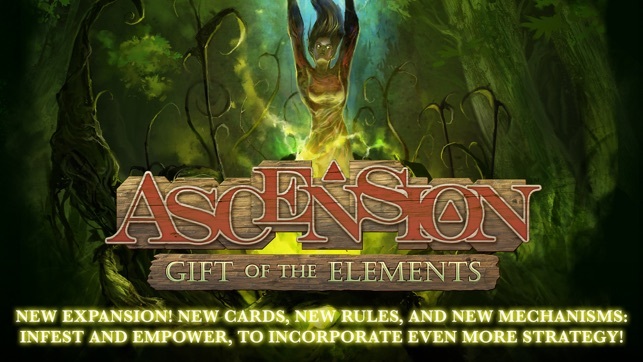 Conceived and designed by three Magic: The Gathering tournament champions, Ascension will provide hours of engaging and strategic game play for enthusiast and experienced gamers alike. • Over 50 beautifully detailed cards, hand drawn by Eric Sabee. 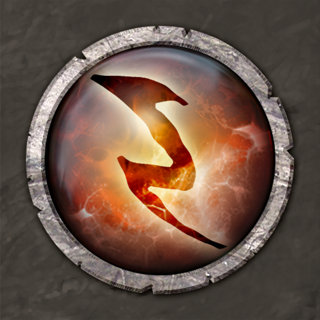 • Full asynchronous support for multiplayer online games. 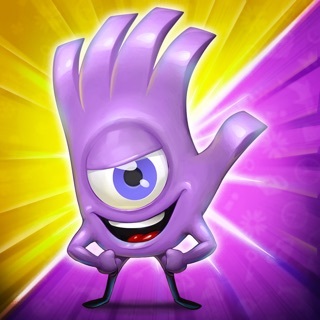 • Play against multiple A.I. opponents using varied strategies. • Introductory tutorial to teach you how to play. • 11 expansions available to purchase from the shop ! Per our Terms of Service, you must be 13 years old or older to use the Playdek online games service. You can follow us on Facebook, Twitter, Instagram and YouTube! The game is pretty good and a lot of enjoyment can be found in it. That being said it has a few problems. Firstly the online doesnt even exist nobody plays this game online so be ready to either do couch co-op or just play against the ai. The game also puts a lot of its content behind paywalls that being said i have enjoyed the expansions and how poorly implemented they are. 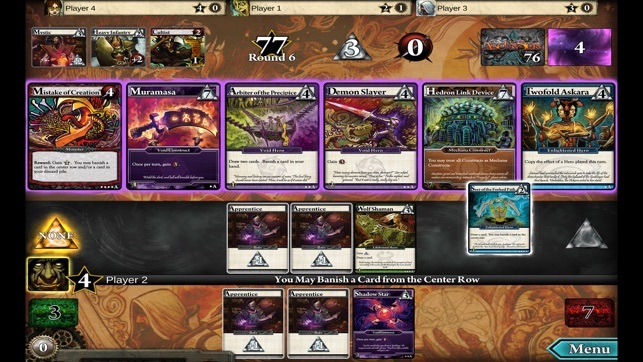 As an example of how badly implemented this game is you can turn on 2 expansions and within 5 turns have beaten any opponent due to several ways that you can gain infinite turns without using glitches. The game also has a few bugs. Most of the ones that i have found are related to playing more than 100 cards in a turn. 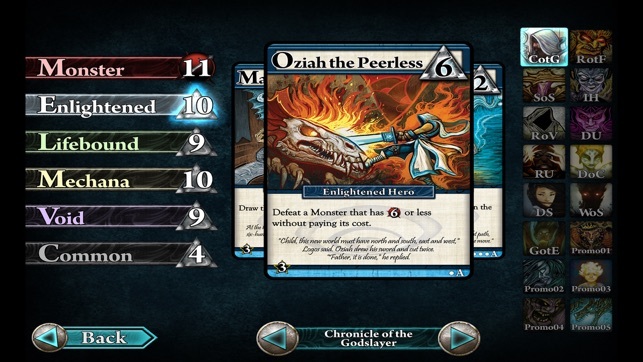 There are also a few card interactions that need to be hammered out. All that being said it is a good looking game that works well for wasting time. I particularly enjoy the games esthetic and the fact that you can break this game and then revel in the games lack of balance. Its kind of like the might and magic games, cosy as hell and extremely unbalanced. Also if you are turned off by the aforementioned pay wall its worth noting that the base deck is perfectly fine on its own. If you want to buy expansions these are the ones i would recommend: return of the fallen, dreamscape, promo pack 3, 4, and 5. I would not recommend buying dawn of champions. The other expansions range from ok to hot garbage. I have owned this game for years. I've never played the table version because I wanted to get all the expansions and be able to play with friends at parties and what not. Now so far this game has been perfect. Well almost perfect at least. This bug has been in this game since the start. It doesn't happen often but basically I call it the "Oh my god there are too many cards and stuff on the field I need to end the game bug." It happens when you get a streak going with cards. I'm very good at playing this game and every so often I get into a never ending loop. It's actually what I strive for in every game. My goal is to hit this never ending loop. However when you get to that point the game can't handle it. It just crashes the game. I've had games where I've been in the middle of my streak and ended up not being able to play because the game can't handle it. So it crashes and sometimes it reboots up a couple hands earlier (same turn). Also it's impossible to copy cards when you have 300 or more on the field. It becomes impossible to plan your turn out. I have to press play all and it can really mess up my streak. Anyway other than that the game is great I LOVE IT. It would be wonderful if you fix the game a bit. Maybe have a way to scroll through the cards on the field so I can read effects and stuff. Please fix it. 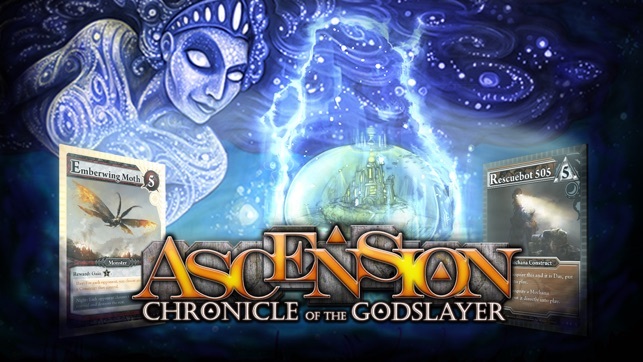 The card game Ascension is s pretty solid game. 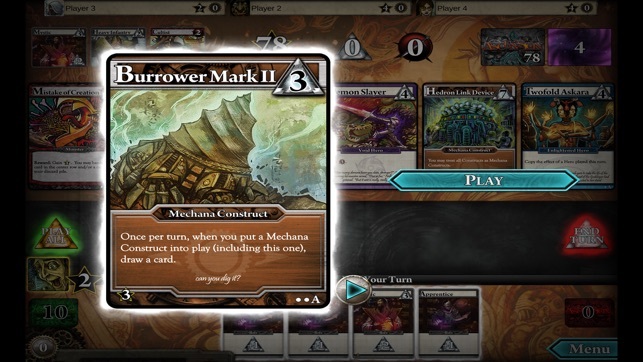 It has wonderful synergy between cards and a mechanic that is quick paced and has a good amount of strategic deck building. The gameplay drawback is its ridiculous randomness, particularly when you purchase expansions. At times these expansion sets are reminiscent of playing Chutes and Ladders or Candy Land since you can randomly gain free cards by the dozen. 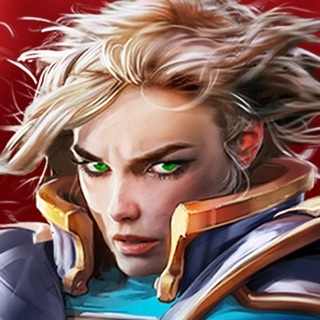 That said, if you are selective with which expansions you buy the game is better balanced. 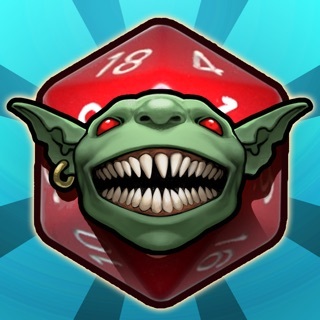 Check board game geek to see which ones are ideal. The real issue with this isn't the gameplay. It's the slowdown. 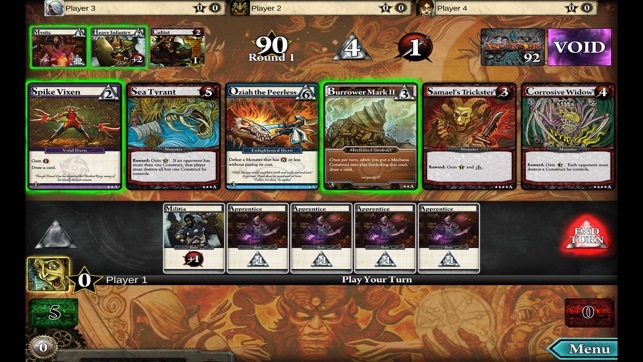 If the AI gets certain cards, too many cards in hand, or too many cards interacting with each other on the table it grinds to a halt. I've sat and stared for a minute or two waiting for the computer to slog through placing a few cards on the table. In a game where turns last an average of 10 seconds this is truly unforgivable, especially on an iPhone 6. 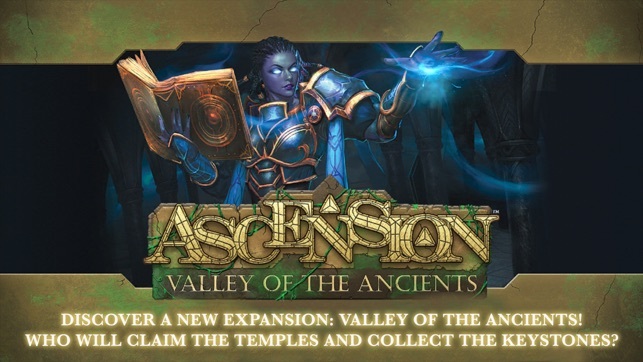 A game as streamlined as Ascension shouldn't consist of 20 minutes staring at nothing and 3 minutes playing. Give this one a pass until playdek does something about the terrible slowdown. One year later and the game runs just as slow. Still not worth the time it takes to get through a slogged game.